The conference is organized under the auspices of the Forum for Agricultural Research in Africa (FARA) and CORAF/WECARD, with funding from IDRC under the AfricaInteract project. 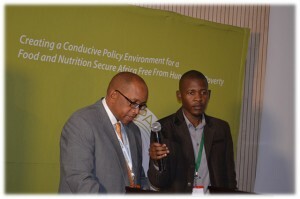 In an effort to make sure adaptation is implemented within the southern African region, the Food Agriculture Natural Resources Policy Analysis Network (FANRPAN) and West and Central African Council for Agricultural Research and Development (CORAF/WECARD) commissioned three studies reviewing climate change impacts on agricultural, health and urban sectors. Evidence from studies (FANRPAN) and (CORAF/WECARD), highlight that while there is unequivocal evidence that the climate is changing, there is a lot of uncertainty regarding the pace and extent of change and its impacts on different sub-regions, sectors, nations, and communities. 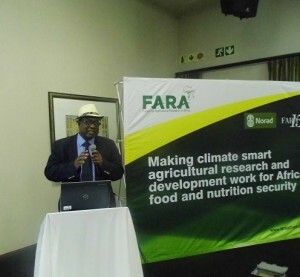 The 15th Anniversary celebration of FARA was held in Johannesburg, South Africa from 24 to 28 November at the Birchwood Hotel. 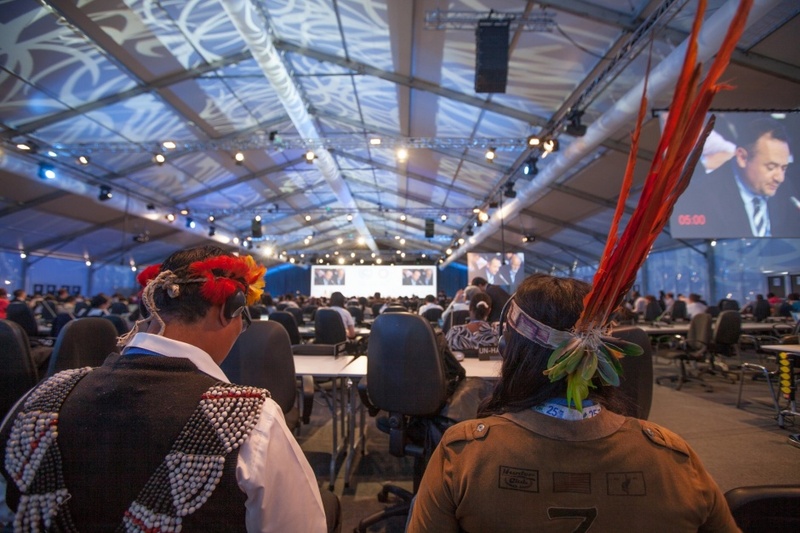 The celebration attracted about 500 participants representing different categories including scientists, politicians, producers, development partners, NGOs, agribusiness, and policy makers. Among them was, Her Excellency Tumusiime Rhoda Peace, Commissioner for Rural Economy and Agriculture of the Commission of the African Union. Dr Abdulai Jalloh AfricaInteract project coordinator briefed Her Excellency on the status of implementation of the project as well as the results achieved. In addition two documents were presented: a flyer showing the overview of the project: goal, objectives, and the achievements in terms of adaptation to climate change in sub-Saharan Africa ,and a review report titled ‘Summary of Research and evaluation of gaps in research and policy: Urban Areas, Agriculture and Health ” produced by AfricaInteract CORAF / WECARD and its partners. Her Excellency Rhoda Peace Tumusiime congratulated Dr Jalloh and his team for their brilliant work in the field of climate change adaptation that enables the vulnerable population of Sub-Saharan Africa to better adapt to the vagaries of change climate. 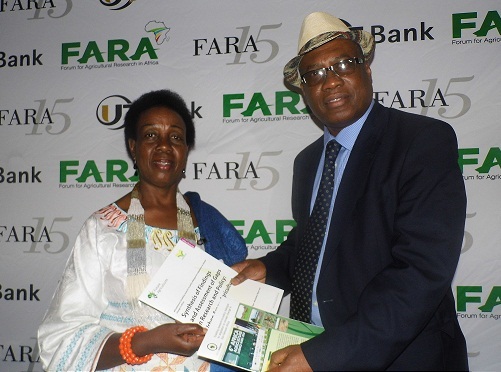 The FARA celebration , which was held in Johannesburg from 24 to 28 November has enabled FARA to celebrate its 15 years of existence in the development of African agriculture. 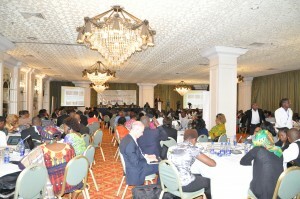 This important event was marked by the holding of numerous parallel sessions including one on the subject of climate change entitled “Making research development of a climate smart agriculture the way to achieve food security in Africa”.This climate change session was chaired by Dr. Salamo Bangali. 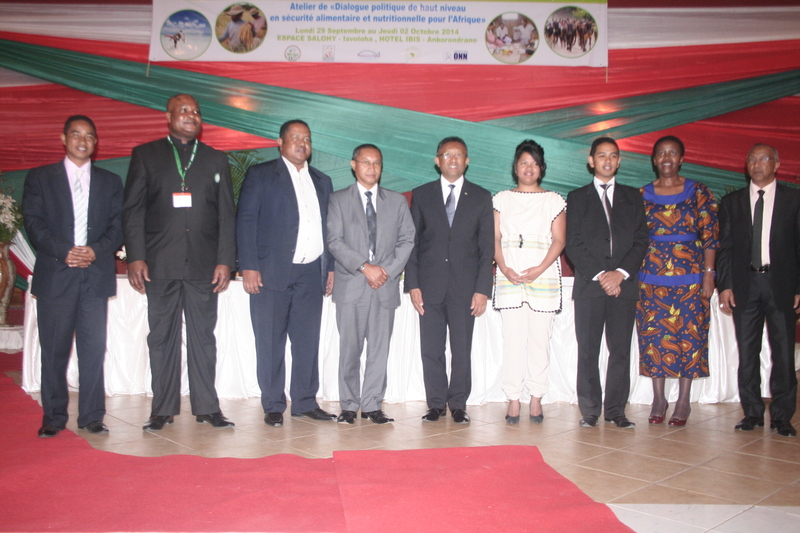 The aim was to establish an effective dialogue between researchers, policy makers and the public about issues related to the establishment of a climate smart agriculture. La célébration du FARA, qui s’est tenue à Johannesburg du 24 au 28 Novembre a permis à ce dernier de fêter ses 15 années d’existence dans le développement de l’agriculture Africaine. 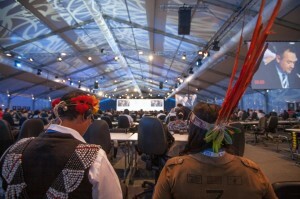 Cet important évènement a été marqué par la tenue de nombreuses sessions parallèles dont une sur le thème du changement climatique intitulée « Faire du développement de la recherche d’une agriculture intelligente face au climat le moyen d’atteindre la sécurité alimentaire en Afrique ». Cette cession sur le changement climatique présidée par le Dr Salamo Bangali à la salle Cape Town International Room de l’hôtel Birchwood a pris deux jours et avait pour objectif d’instaurer un dialogue efficace entre les chercheurs, les décideurs politiques ainsi que la population sur les problématiques liés à l’établissement d’une agriculture intelligente face au climat. 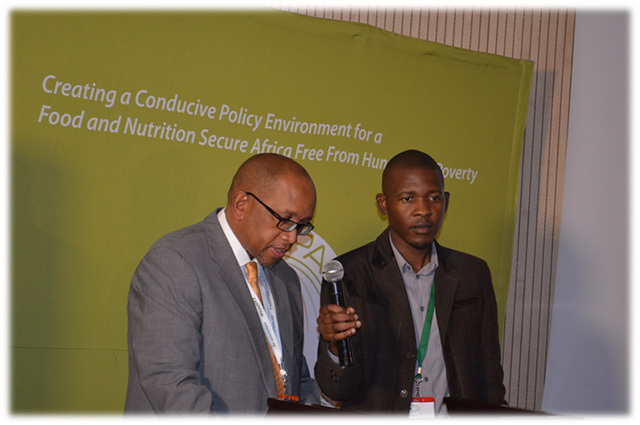 2014 High-level Dialogue on Food and Nutrition Security in Africa and the general meeting of FANRPAN (Food, Agriculture and Natural Resources Policy Analysis Network) ran in Antananarivo from September 29th to October 2rd 2014. 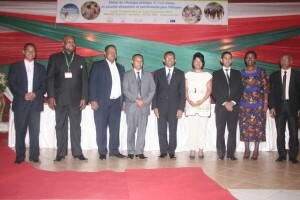 The opening ceremony took place on September 30th, in the Ministry of Agriculture and was chaired by the Minister of Agriculture and Rural Development of Madagascar Roland Ravatomanga in the presence of Mr. Silver Chuula, Chairman of the Board of FANRPAN, and Mrs. Lindiwe Majele Sibanda, Chief Executive Director and Head of Delegation of FANRPAN.